Do you live in the Roseville, Rocklin or Sacramento area in California? I have a fun and free event to share with you!! Meet Cathy Alba, a senior brand educator for The Honest Company at the Nordstrom store in the Roseville Galleria. Cathy will be located in the Kid's World Department on the 1st Floor. 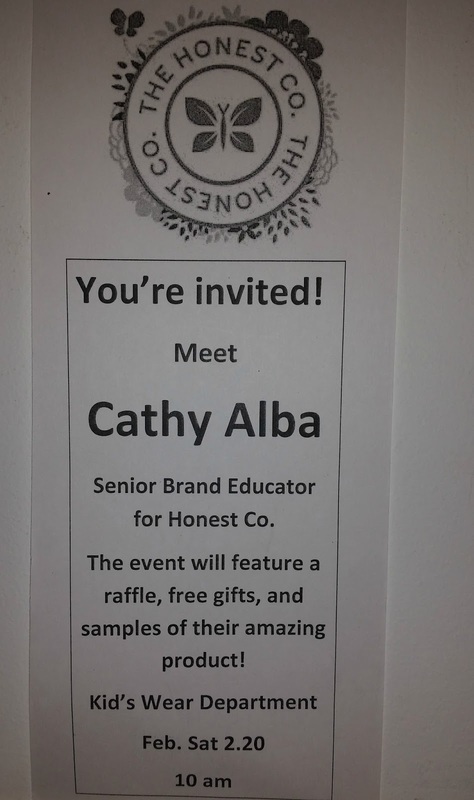 The event will feature a raffle, free gifts and samples of their products. The event starts at 10am. Have you tried The Honest Company products? I have tried the lip balm, hand sanitizer and love their healing balm.